Jane was the first to run. Sophia and Penelope died. Sisters Eleanor and Camilla ran, and the third sister, Emmeline, died. Lane ran from Roanoke after one summer. Allegra disappeared, and now Lane is the only Roanoke girl left who can return to the Roanoke house and help her. After fifteen-year-old Lane Roanoke’s mother commits suicide, she is sent from New York to live with her grandparents and cousin, Allegra, at their farmhouse in rural Kansas. 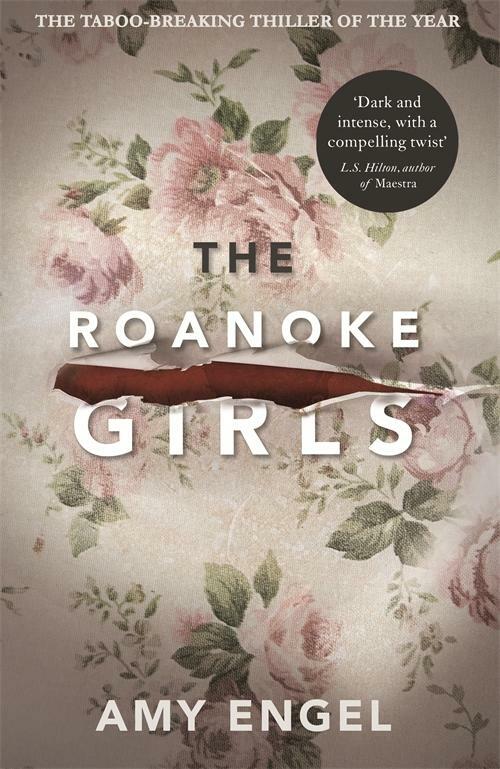 Lane has dreamt of the Roanoke house for years, despite her mother fleeing from the home whilst pregnant with Lane and warning her that it was a place of nightmares – for Roanoke girls either run, or they die. When Lane uncovers the truth, she becomes one of the girls to run. Ten years after Lane’s long summer at Roanoke, her estranged family track her down with news: Allegra, the one member of the family who Lane truly cared about, has gone missing. Lane feels obligated to return to the Roanoke house to search for her cousin – but will the darkness of Roanoke allow her to leave a second time? Thrillers definitely aren’t my go-to genre. To be honest, I just scare too easily, so I tend to avoid most things that I know are almost guaranteed to have me curled up in a ball on the sofa every time I’m alone in my flat, unwilling to move in case a murderer crept through a window whilst I wasn’t looking. However, every now and then, I find a thriller with a plot that I just cannot resist. This started, of course, with Queen Gillian Flynn, whose complete works I grew to love after giving Gone Girl a chance. Hannah Kent’s Burial Rites, similarly, unnerved me but kept me in it’s grasp. 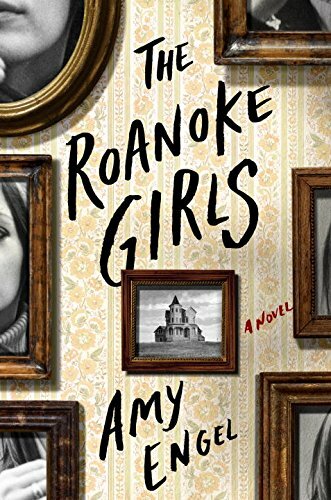 When I read the summary of The Roanoke Girls, I knew; this will be another one of those books that will almost definitely scare or unsettle me in some way, but that I’ll almost definitely love. As I guessed, I was right – I actually read this book in just one sitting. I found The Roanoke Girls to be very reminiscent of Sharp Objects – the deep-hidden family secrets, the mystery in a small town of a Southern US state, etc. – and as this was my favourite Gillian Flynn book, I definitely wasn’t complaining. I immediately liked Lane and found that she was definitely a main character who I could easily read about for a long time, and the switches between her present life and her life ten years ago, when she was living in Roanoke, helped to build her as a character really well. I can’t fault any of the secondary characters, either – I just wish I’d gotten to know Allegra a bit better, although her elusiveness did add to the overall mystery of the plot. The older Roanoke girls – Lane’s mother, aunts and great-aunts – all got small chapters about themselves, expanding upon the dark secret that the Roanoke family hides within itself. I thought that this little touch was such a good way to develop the plot and show how each of the girls were affected. So, the secret of the Roanoke girls: I won’t say what it is, but it is revealed very early on into the plot. I didn’t have a problem with this, as it helped to expand what each of the girls have been through because of this family secret and the twisted way in which they had all accepted it at some point in their lives, rather than it being a big shock at the end of the book. Really, the mystery of the book as a whole was what happened to Allegra in the present day and what led to her disappearance, rather than finding out what the secret itself was. It is a very dark, unsettling secret, which some readers may not be comfortable reading about, so I’d just recommend being aware of this going into this book. Honestly, my only problem with this book is that I wanted more. I wanted it to be longer so I could learn more about each of the characters, so I could continue to follow the mysteries of what happened at Roanoke house, so I could know more of Lane’s backstory and of what she was going to do next. I read that this is Amy Engel’s first adult novel, and I honestly cannot wait to read her next one if she writes more. I think I can sum up these two books by saying they just make me happy. I can also easily say that these books won’t be for everyone – there’s not a lot of action or plot, it is about the characters, their relationships and their struggles. 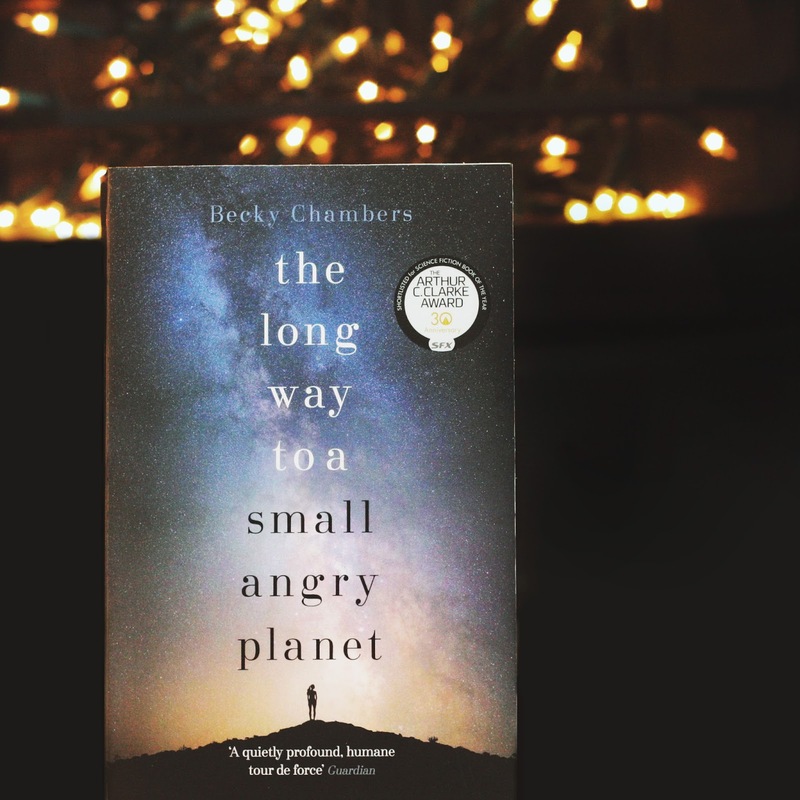 The events of this book take place soon after the ending of The Long Way to a Small, Angry Planet and although there are a few references to the previous book, I think this could be read as a standalone. We now follow the stories of Sidra, an AI previously known as Lovelace as she comes to terms living in a synthetic body, with no memories of her previous life. Our second character is Pepper as she tells the story of how she was made and titled Jayne 23, one of many little girls created purely to work in factories across the galaxy. Overall, Becky Chambers delves into the world of AIs and sentient vs non-sentient beings – Sidra/Lovelace being created as an AI and Pepper being raised by them. It is a book of character development – Pepper being brought up by ‘Mother’ AIs and then Owl, an AI that saves her life and essentially becomes the most important person in her life – the mother she never had. We follow Pepper from the age of 10 as she escapes her compound prison and out into a world she has never seen before. Not even knowing what a sun or sky is, unable to read and used to only liquid meals, a voice appears from nowhere and becomes her saviour. Owl, an AI, programmed into a near crashed ship takes Jayne 23 under her wing (har har) and the two form a bond that lasts over nine years until they finally leave the desolate planet. This relationship killed me, destroyed me. Owl is the only person Jayne has despite only being a face on a screen. She teaches her everything, looks after her and even temporarily installs herself into a virtual gaming body so she could sit by Jayne. So many of their moments made me want to cry – they essentially save each other. We also follow the relationship of Pepper and Blue and find out its origin but a new relationship formed between Sidra and Tak, an Aeluon tattoo-artist who essentially helps her come to terms with her new, synthetic body that she feels she doesn’t belong in. 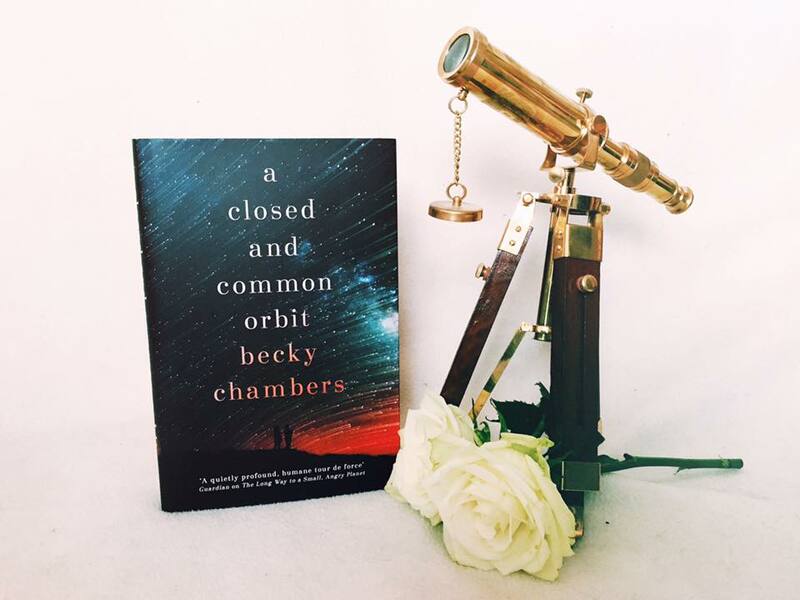 Becky Chambers writes these friendships that are so pure and full of understanding that you can’t help but feel happy. It was one of the strongest points in the first book and it has continued in the sequel. We also fall back into this galaxy of many different species, cultures and laws but the one thing remains, this is a book that focuses on the importance of consent, gender pronouns and sexuality. Throughout the story, Tak, being an Aeluon, regularly switches between genders and it is just a normal thing. These primarily sci-fi novels are more informative on important issues than most contemporary books. Overall, although I didn’t enjoy this book quite as much as the first one, it is still definitely a 5-star read for me. Everything Becky Chambers writes just blows my mind. She writes sci-fi without info-dumping, without epic space battles and yet still manages to construct these worlds and characters with so much depth that you can’t help but become emotionally-attached to them. Pepper, Blue, Sidra, Owl and Tak – people so different and yet bound together by trust and love. I’m not sure what the author has planned next but whatever it is, I’ll be first in line on release day. I want to thank her for allowing me to come back home amongst the pages of her story. 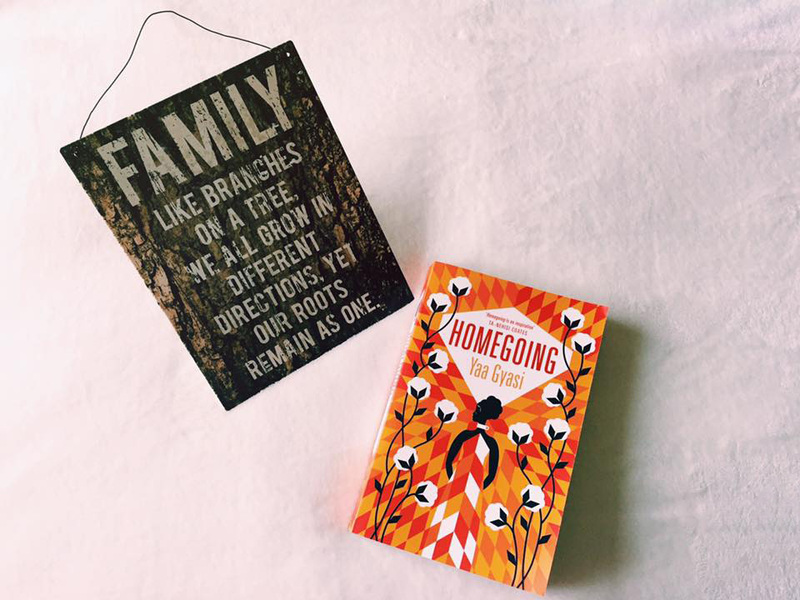 Homegoing is the debut novel of African author Yaa Gyasi. A historical-fiction novel that follows the story of a family though generations starting with half-sisters, Esi and Effia, two women with very different destinies – Effia marries an English slave trader and Esi herself is sold into slavery. They never meet and yet the generations that came after them tell their stories. The book gives us a look at the colonialism and slavery that took place across Africa and America over the course of 250 years. It is raw and honest and it’s clear that this is a very important topic to the author and her family. It isn’t an easy read, it is heartbreaking and infuriating but it is a necessary read, especially in terms of diversity. 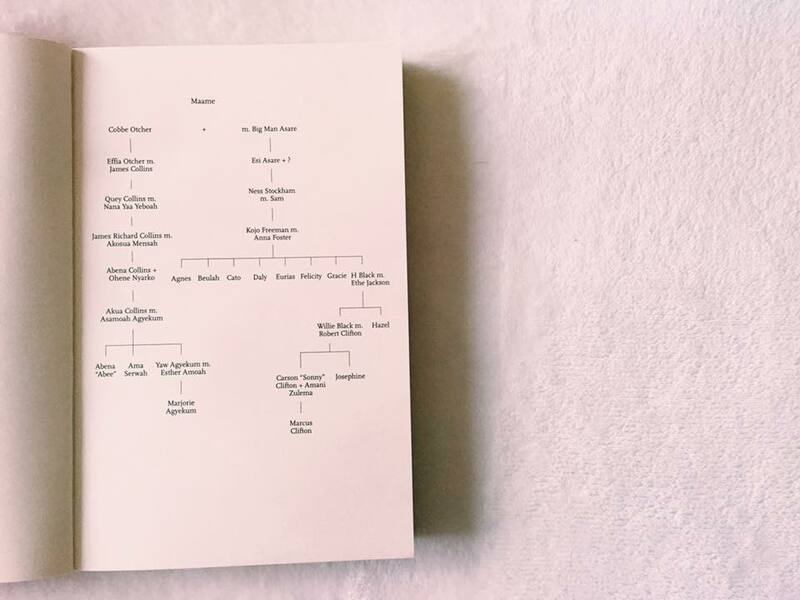 Yaa Gyasi managed to achieve in just over 300 pages what many authors have struggled with – writing chapters from numerous perspectives (each chapter has a different narrator, following the family tree as it descends) and yet allowing us to connect with them and their story on an emotional level. No character was uninteresting, no chapter gave us an info-dump about its narrator. The author allows each character to tell their individual stories, show us their culture and their struggles and how their family’s history has affected them. On paper, it sounds like a disaster but in terms of multiple perspectives, this book would be in my top five with how well executed it was. I loved every character and their voice but I was also excited for the next character and seeing how each member of this family tree connected to the other. For a debut novel, this book was incredible. Yes, it is full of violence, brutality and horror. It shows, unflinchingly, how slaves were treated so in theory, this isn’t a happy story. However, the end had me smiling with tears in my eyes. One of those endings that is bittersweet and almost as though the whole story had formed a complete circle from Effia and Esi to Majorie and Marcus. There are some moments of pure joy in this novel, there was a silver lining in the love these characters had for each other, their children, their grandchildren. I learned about Ghana, the old cultures and tribes which is something that isn’t common in everyday fiction. No character was suppressed, each had their own struggle but each had a voice and it was almost as though every member of this bloodline came together. Overall, this book was eye-opening, informative and heart-wrenching. 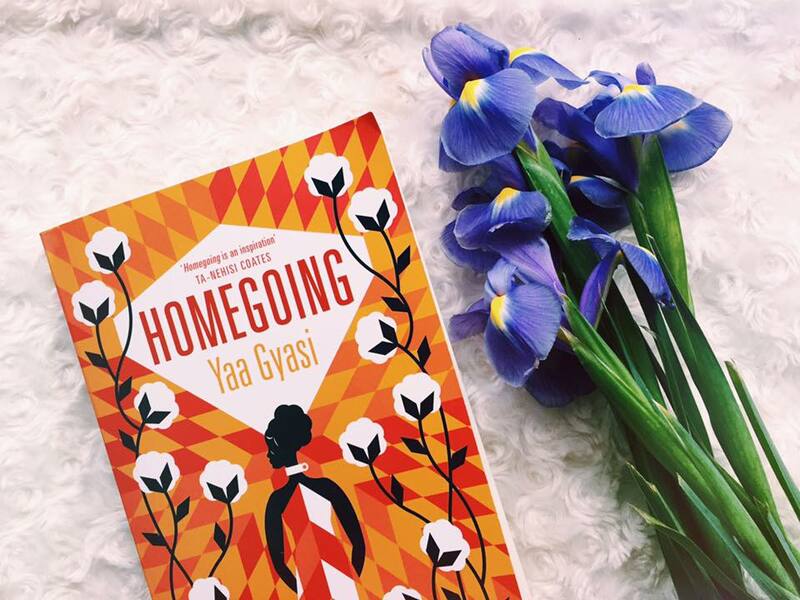 Although we only spent a short amount of time with each person, Yaa Gyasi managed to make them real and interesting which some authors fail to do with just one character. Her writing was beautiful and flowed effortlessly, she didn’t shy away from the horrors these characters suffered and yet the one thing that connected them all was the love that flowed through the bloodline. It is clear that Gyasi put her heart and soul into this book and it is clear from the very first chapter to the last. If she wants to publish her shopping list next, I’d happily read it. Pick this book up, support it and its author and just get ready for a hard but rewarding journey through generations. 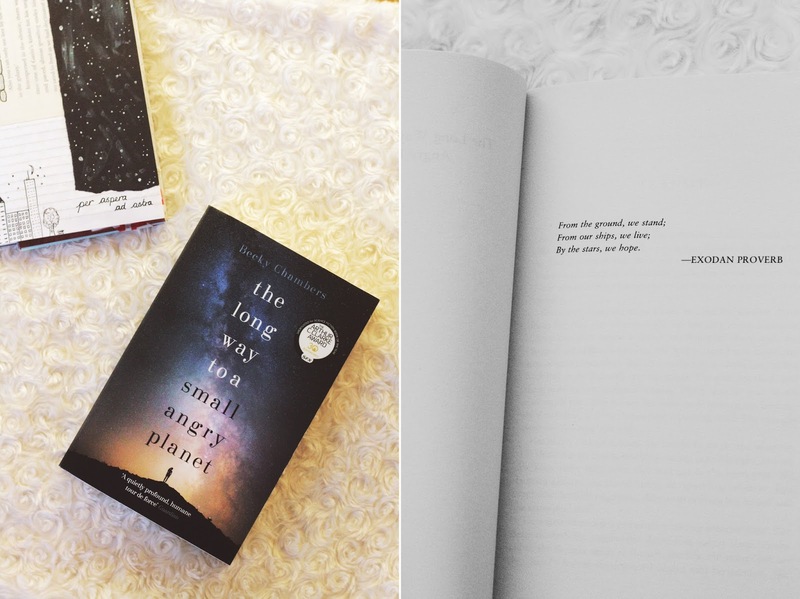 The Long Way to a Small, Angry Planet is an adult science-fiction novel that follows the story of a crew aboard the Wayfarer, a ship whose job it is to tunnel through space. This isn’t your average sci-fi novel – it doesn’t consist of twists and turns and epic space battles but focuses more on the crew and their characterisation. This may put some people off but this book was everything and more, in my opinion and has definitely become an all-time favourite of mine. This book is definitely not plot-driven. It centres more on the characters separately and also as a whole. It is the story of their journey and our journey as we are welcomed into their world. We see their world as Rosemary does, with fresh eyes. We learn with her and eventually, we even feel accepted into the family alongside her. One of my favourite dynamics in any book is family dynamics and this book had it. You have this crew of very different people, not just their species but their backgrounds, their beliefs, their genders, their sexualities and yet they form this beautiful space family. Rosemary, a Martian woman trying to escape her past. Sissix, an Aandrisk pilot and the only one of her kind on the ship. Ashby, the Captain of the Wayfarer and also a pacifist dealing with his distant love. Ohan, a Sianat pair who can navigate the stars. Dr Chef, a Grum who basically feeds and looks after the crew. Kizzy and Jenks, the ship’s version of mechanics and even Lovey, a sentient AI who runs the ship and dreams of having a human body. Together, they are the space version of misfits but their relationships transcend the planets they travel through. Gender pronouns are not only important in this world but they are also normalised. A person/species isn’t labelled a gender until they confirm it and some species even identify as both a male and a female during their lifespan. Ohan is referred to as ‘they’ due to being a Sianat pair without question. I was beaming like an idiot! This is a sci-fi book that not only deals with the intergalactic but also with modern-day subjects without preaching. Even racial slurs are touched upon as this world has their own version of them. In one of the very first chapters, a crew member is shut down by the Captain after using a slur. We find out about the history of every species in this world without info-dumping!! We find out everything from their diets, religions, how they raise children, how family dynamics work even their individual languages. I’ve never known a book to include so much information without it being in big, boring chunks. I was so invested in each species and their differences. Something else I loved is that humans are probably the least common species in this book and they are the ones who are often questioned. This was such an interesting touch to any other book ever, for once humans aren’t at the centre. Overall, in no way do I wish this book could have had more of a plot and that surprises me. Discovering the Wayfarer in this book was kind of like discovering Hogwarts, you just wish it was real and the people were real because it feels like home. I was emotionally connected to the family that lived within its walls and am so desperately excited for the sequel. Have you read this book? What were your thoughts? Two Book Thieves is made up of two British girls, Angharad and Becky. TBT started as a place for us to review our favourite books, and then branched out to include our love of travel and a bit about our day to day lives. Feel free to get in touch with us at twobookthieves@gmail.com!